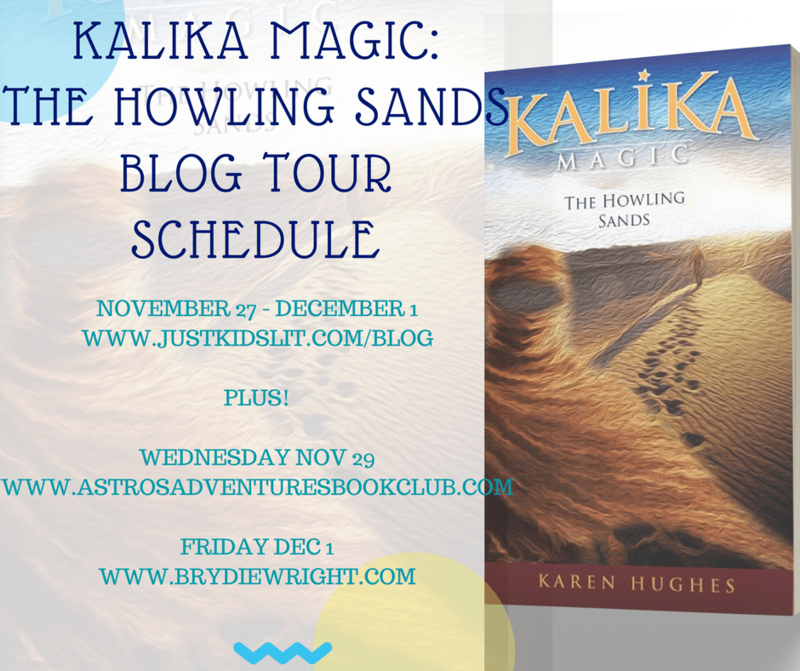 Kalika Magic: The Howling Sands, Karen Hughes (author), November 2017. 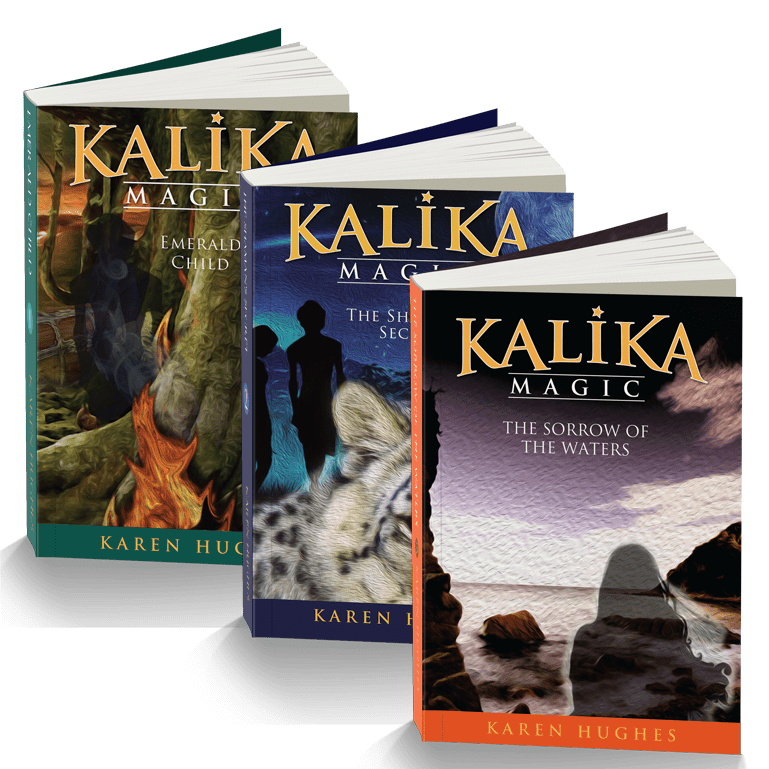 The fourth book in the Kalika Magic series by Australian author, Karen Hughes, is a wild adventure in a harsh desert land – complete with whirling sand ghosts, secret potions, and a furious firebird. Perfect for kids aged 9+. Chilling. Haunting. Mysterious. The Kalika Magic series delves into the world of fantasy, adventure and magical realism, and also underpins a foundation of sheer grit, determination and strong relationships. Karen Hughes began her mystical series for middle grade readers with Emerald Child, followed by The Shaman’s Secret, Sorrow of the Waters, and most recently, The Howling Sands. Fourth in this eight-part collection, The Howling Sands takes us on an exciting yet treacherous journey through and between enchanted realms and arduous climates in a bid to save a village from destruction. The story follows a group of children – known as the five children of the prophecy, and other minor characters, on an epic mission to find the missing Shaman Yanti via locating the ancient Veladin, and to stop the evil witch, Sofia from mandating raids on the village of Gort. The characters’ distinct personalities and the changes they endure bring about some deeper complexities to the story. The plot line is also rich with parallel and underlying sub-plots that will have readers entangled in its grasp until the end. Obviously, a prior knowledge of the series is an advantage, however as a stand-alone read the intrigue intensifies as more and more facets are revealed. Indie, Kai, Nima, Jabar and young Willem are tested at every turn as they evade soldiers, uncover old truths of Kalika legends, persevere with ferocious and enigmatic beings, determine who they can trust and above all, believe in themselves to protect the most important things – their family. They need to understand the spirit world and how the elements – air, water, fire, earth, and the fifth, Akasha (the spark of life) come together to join forces in protecting the land and themselves. Characters are faced with the ultimate dilemma of falling under the spell of someone who, in reality you should be able to trust; as mother / aunt Sofia releases their innermost fears to set a false strength and use this against them. Karen paints a detailed world of atmosphere, imagination and magical wonder in her descriptions. The book highlights the values of family love, self-belief and environmental care and sustainability, and these will be carried throughout the whole series. Readers from age nine will literally get swept away in the midst of drama and fantasy with The Howling Sands, leaving them breathlessly awaiting the next adventure. Visit Karen Hughes at her website, her Kalika Magic website and Facebook page. 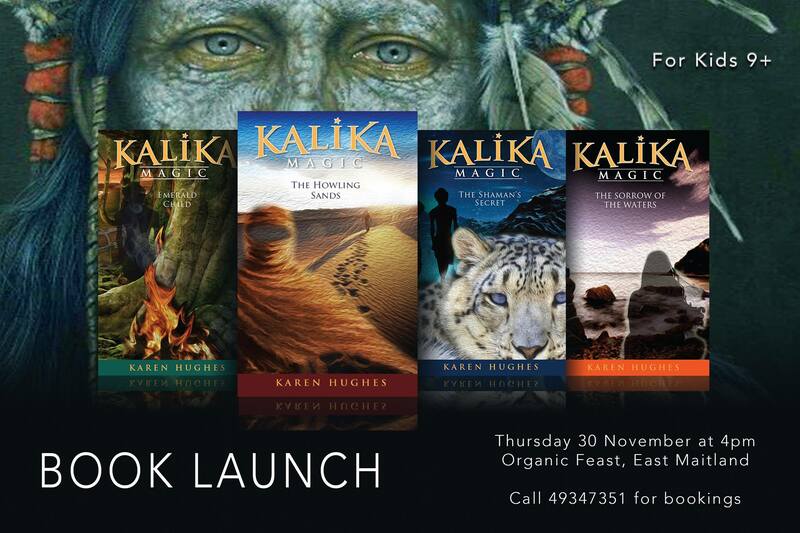 The Howling Sands Book Launch will be held on November 30th at 4pm at Organic Feast, NSW. Great review, Romi. The plot is complex and you’ve done a fantastic job in summarising it and conveying the book’s atmosphere!